As a child, I always fantasized about my dream horse. What color would it be? How tall would it be? 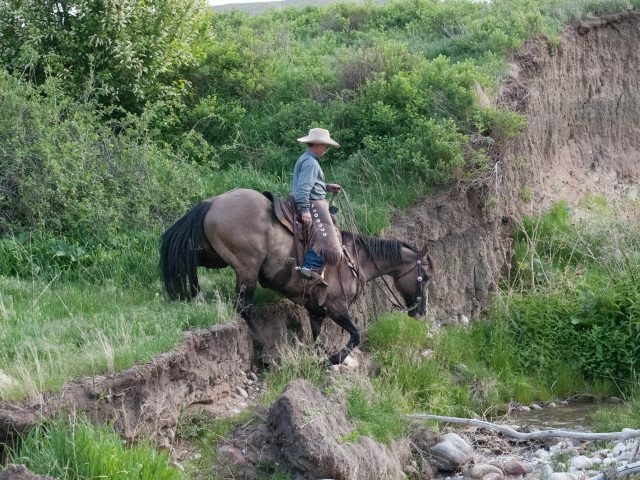 Should I pick a mare or a gelding? 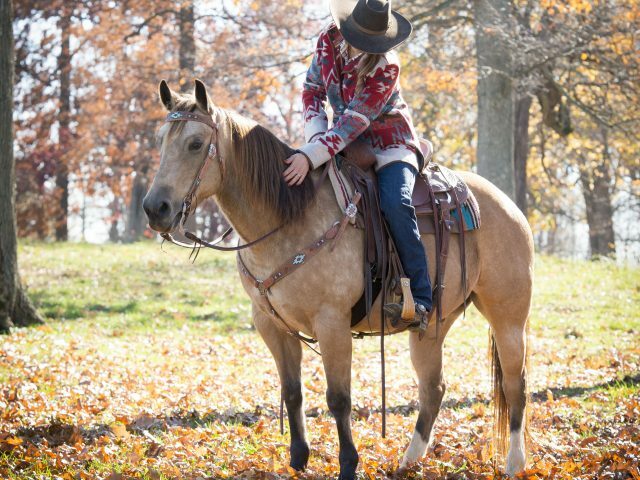 I imagined I would want a long-legged palomino mare with four white socks and a perfect star on its face. It’s funny, but when searching for my first horse I quickly discovered that “color” was the last thing that I should be taking into consideration. Instead, we focused on personality and the horse’s training level. I ended up with an older, plain 14.2h bay mare riding horse and a yearling paint gelding (Ace) that was 95% white in color that I could work with as I gained experience. It didn’t take long for me to gain a full appreciation for that bay mare when it came to show day preparation, because keeping a horse WHITE is a whole new level of challenging. 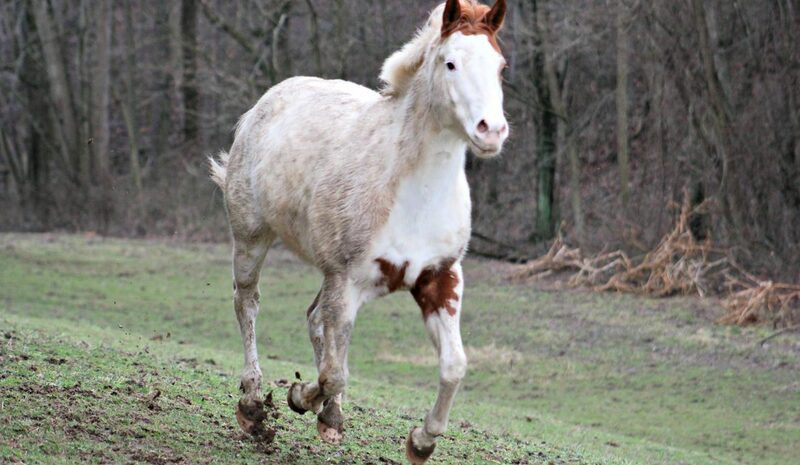 To begin with, Ace to this day is convinced he is not a white horse! He paints himself a new canvas of colors every day, from grass stains, mud to rolling in just about anything he can find (including some berries that were a nice shade of purple once). Show day preparations soon involved a bath using whitening shampoo the night before, as late as possible, and then getting out to the barn an hour earlier than usual in the mornings to re-wash any area that got stained or dirty overnight. He was always given a clean stall with new bedding before every show, but it didn’t stop him from finding ways to re-color himself. By the time we trailered him to the show and brought him out, it was time to clean him up again. Our show supplies included these essentials: spot remover, a sponge, shampoo, a bucket, and towels. One of my favorite things was when judges would make the comment that they needed to wear sunglasses to look at my horse, because when the sun was shining he was blindingly white. Taylor and Ace on show day! 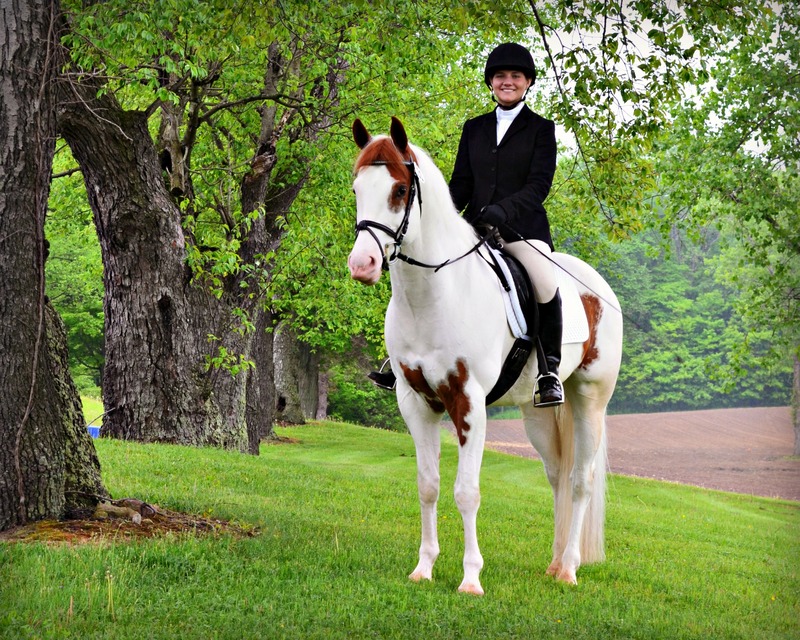 To all of you riders out there with light colored horses—I feel you. All of the wiping, cleaning products, scrubbing, and fearing every speck of dust or piece of mud. Was it a lot of work? Absolutely. Was it worth it? Yes! I often heard comments from people around us about how it wasn’t worth all the work and they would never own a white show horse. What they didn’t realize is that gelding helped me accomplish some of my BIGGEST goals as a rider and he pushed me to be better. Plus, there is an advantage to having such a large canvas! 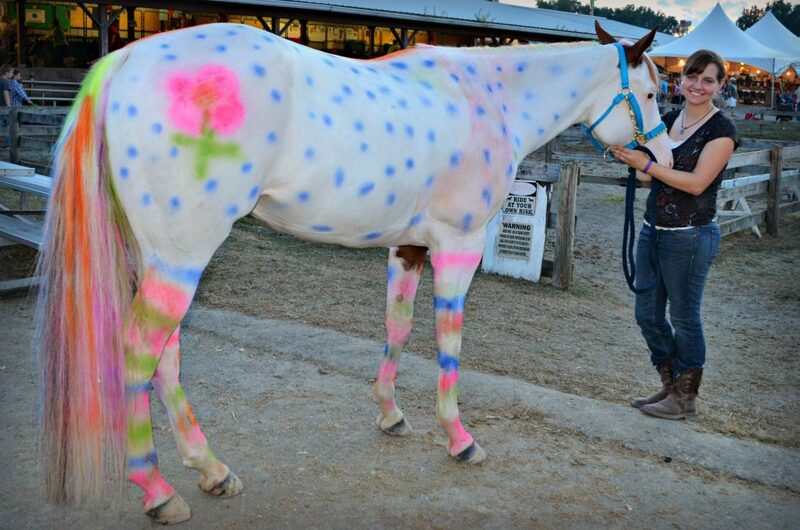 One year at the county fair I took some paint and colored Ace in all kinds of different colors when we were done showing. We stood outside and let kids line up to get pictures with him up close. 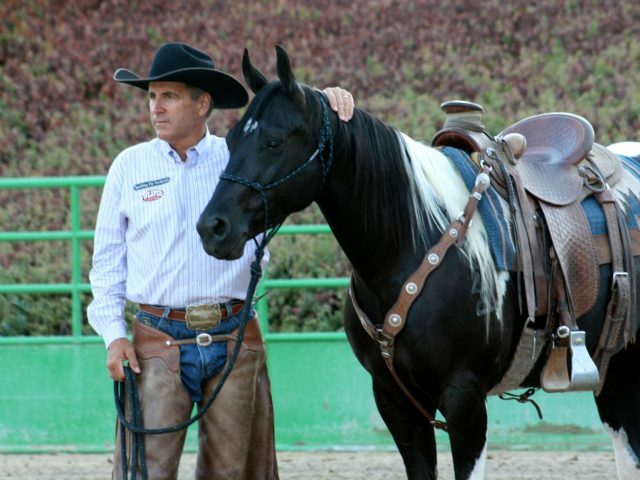 Taylor and Ace demonstrating the true meaning of a paint horse. Now that Ace doesn’t make as many public appearances unless he is out on a trail ride or the occasional schooling show, he expresses his more creative side and enjoys displaying all of his different colors—and I’m perfectly okay with that.